Beijing/China: General Motors Co. and its main Chinese partner, Shanghai Automotive Industries Corp. (SAIC), announced a venture Friday to sell vehicles in India, uniting in the two fastest growing car markets in a deal that reflects GM’s reduced status as a global auto maker. The deal comes on the heels of GM’s board and CEO Fritz Henderson parting ways Tuesday, the board upset that the auto maker’s turnaround wasn’t moving more swiftly and Henderson frustrated with second-guessing, two people close to the former CEO said. Board chairman Ed Whitacre Jr. has taken over as CEO while a global search is conducted. “We have an outstanding relationship with SAIC," said Nick Reilly, president of GM’s international operations, in a conference call with reporters. “It seemed to us very sensible and a big opportunity to deepen that relationship and broaden that relationship outside of China." 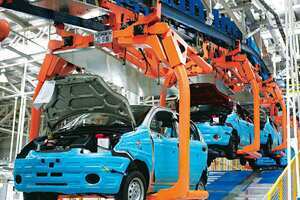 GM agreed to turn over 1% of Shanghai General Motors to SAIC, which will give the Chinese partner 51% of the company. Reilly said GM valued that 1% at $85 million. He said the transfer will give SAIC the right to approve the joint venture’s budget and the appointment of senior managers. Reilly said bringing in SAIC and its investment meant the Indian venture could develop more quickly. Total investment in the India venture is expected to be more than $650 million , Reilly said. GM was contributing half in the form of factories and a distribution network in India and SAIC would provide the rest, he said, though declined to say whether that would be cash or other assets. The venture also will sell Chinese-made GM cars and mini-commercial vehicles.